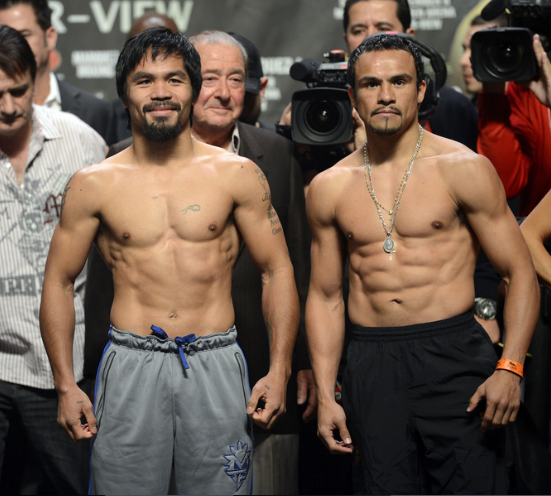 It seems as though the war between Emmanuel "Manny" Pacquiao and Juan Manuel Marquez never ends. I hope after this fourth encounter there will be no more words left unsaid between Emmanuel "Manny" Pacquiao and Juan Manuel Marquez. They successfully passed the weight requirement. Whew! Grabe nilaki ng kaha ni Marquez. Pansin mo rin? Basta ako para kay Manny pa rin. 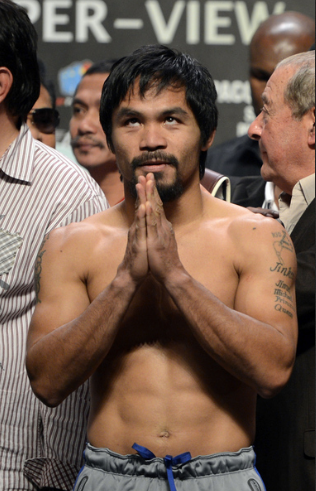 I am praying and hoping Manny win this time around. He is such an inspiration so please make him win please! Mag re retire na siya soon so dapat yun record niya puro win na lang.